As one of the fastest growing cities in the nation, Seattle has seen rental prices increase by 41% in the past five years. This demand has left many low-income residents with fewer options for safe, low-cost housing. To fill the gap, public housing authorities in Seattle and King County are providing affordable homes for 57,000+ low-income residents. The increasingly cost-burdened housing market is one factor that has contributed to persistent health inequities in Seattle and King County, with low-income public housing residents disproportionately experiencing chronic illnesses, injuries, and mental health issues. These health disparities highlight the need for novel approaches that bring the public health and housing sectors together. By sharing data, these two sectors will be able to work together to identify pressing health needs of the residents, implement targeted interventions, and evaluate their effectiveness. Through Data Across Sectors for Health (DASH), Public Health – Seattle & King County is partnering with the King County Housing Authority and the Seattle Housing Authority to develop an integrated data system that will establish regular and bi-directional exchange of health and housing data. The project is part of the King County Accountable Community of Health, a multi-sector partnership working to improve the health and well-being of county residents. 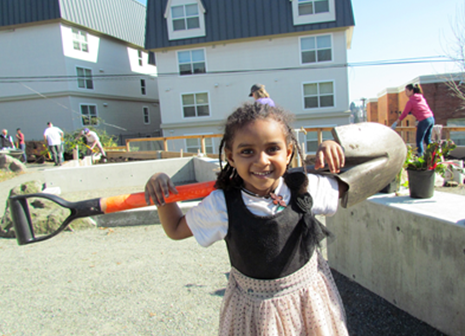 Before embarking on their DASH project, Public Health – Seattle & King County had a long history of effective collaboration with public housing authorities. In 2010, data on the impact of exposure to secondhand smoke among families in subsidized housing motivated a partnership to implement a smoke-free housing policy for all public housing units. After the policy was implemented, there was a drop in the number of low-income smokers. However, lacking linked data, they were unable to analyze change in exposure to second-hand smoke in the different public housing authority buildings. Linking Medicaid claims and public housing data will result in a closer alignment of housing and health, ultimately improving the health of low-income residents while reducing medical costs. These are primary aims of the King County Accountable Community of Health, which has served as a backbone for the collaboration and helped bring non-traditional partners to the table. As the integrated data system continues to grow, more powerful analyses can illuminate issues driving health inequities in King County and generate lessons learned for other local health jurisdictions, public housing authorities, and the broader group of stakeholders invested in the Accountable Communities of Health. With a recognition that housing matters to health, now is the opportune time to link data across sectors to create healthier homes and communities.